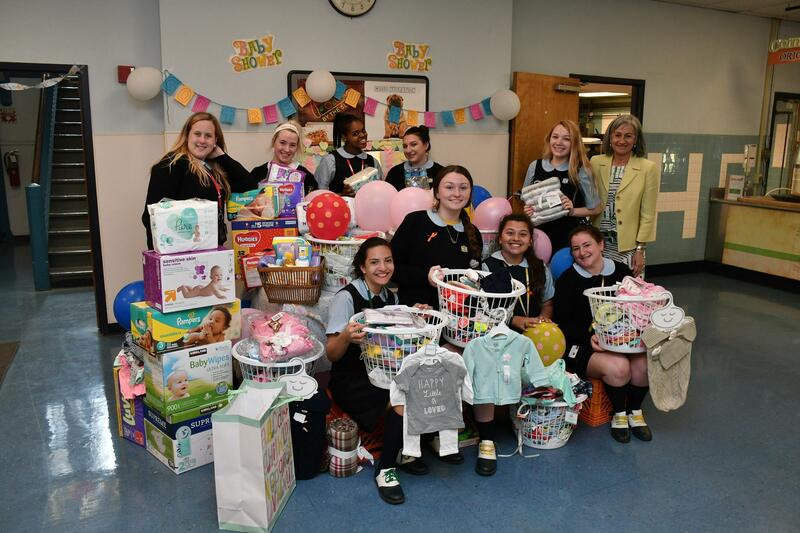 The main purpose of the School Ministry Program of John W. Hallahan Catholic Girls’ High School is to develop our young women into disciples for the 21st century. This is achieved through personal spiritual development which includes maintaining a life rooted in prayer and the Sacraments and participating in the evangelistic mission of the Church. Our program includes the opportunity for daily mass, receiving the Sacrament of Reconciliation, monthly school liturgies, and annual retreats. Besides providing these school wide services, the School Minister is always available by appointment for spiritual counseling. Daily Mass is celebrated each morning in our chapel at 7:00 AM. Students, families, and alumnae are always welcome to attend. Scheduling of intentions for each Mass and Mass Cards are available by contacting the Advancement Office at advancement@jwhallahan.com. Penance Services are scheduled throughout the year to allow our students to have ample opportunities to take advantage of this Sacrament. Students may schedule appointments to receive the Sacrament of Penance at almost any time during and after the school day by contacting the School Minister. Prayer has often been called “communication with God”. At all times of prayer, every student is expected to be reverent and, when appropriate, to stand. Each morning, the Hallahan community begins its day with prayer during the homeroom period. Silence is to be observed during prayers and announcements. The Pledge of Allegiance follows Morning Prayer. If students are anywhere other than homeroom when prayer begins, they are to stand in place until prayer and the pledge are over. In addition, students are encouraged to gather for prayer groups at the beginning of each lunch period in the school Chapel each day. Each student is required to make a school sponsored retreat during each academic year on the Wednesday of Holy Week. This retreat takes place at Hallahan. Students absent on this assigned retreat day will be required to make up the time before the end of the school year. Kairos is an intense, three-day spiritual retreat offered to juniors and seniors. At present there is only one Kairos Retreat per year scheduled for late winter/early spring. The retreat is held at an off-campus location under the leadership of the School Minister along with a trained team of adult and student leaders. Any student who attends a Kairos retreat is exempt from their class retreat day. 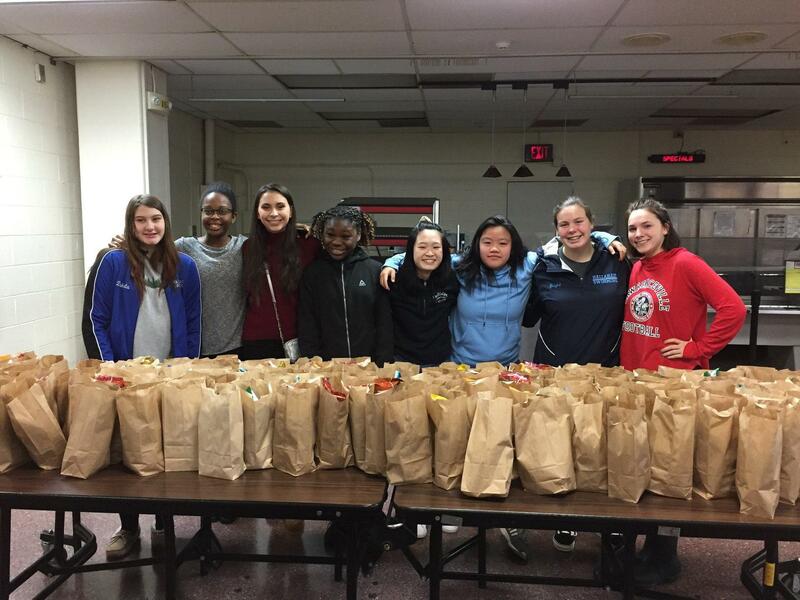 Each student is required to complete community service projects each school year by becoming active in their local parishes and communities and in a special way through the school’s Community Service Corps program. This expectation is designed to engage students in a meaningful work of Christian charity and to enable students to make a difference in the world. Community Service projects are coordinated through the Theology Department. We are certainly very proud to be a very diverse school community. Our Catholic identity challenges us to be attentive to the needs of all our students regardless of their race or religious background. 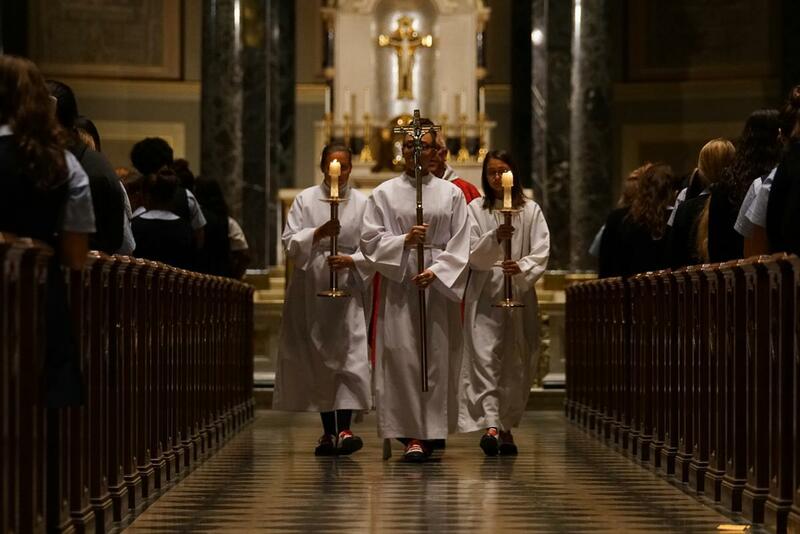 Since we are a Catholic School, attendance at school-wide liturgies, prayer services, and other religious exercises is required for all students, regardless of their personal religious beliefs. Students who are not Catholic but are interested in becoming Catholic are welcome to meet with the School Minister to get more information about the R.C.I.A. process. Our Lady of Hallahan, pray for us!